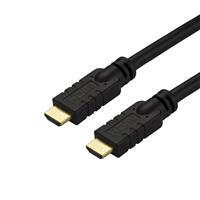 This CL2 HDMI cable is rated for in-wall installations. 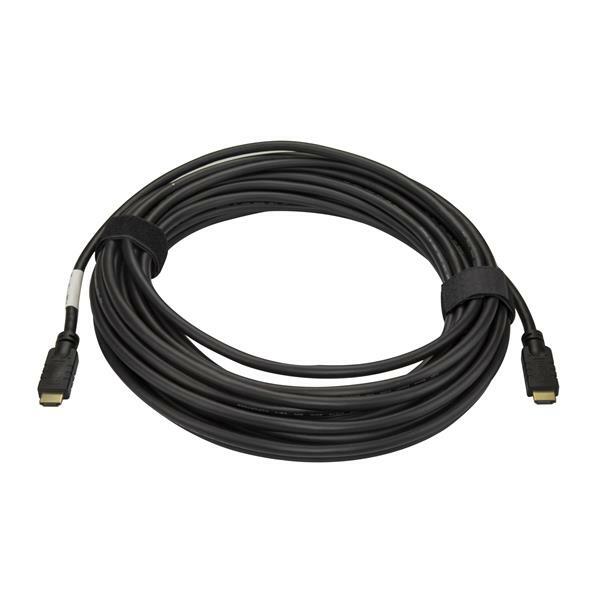 It also has a built-in active signal booster that allows for a connection distance of up to 50 feet (15 m) between your HDMI devices, with no signal loss. The cable is also backward compatible with previous HDMI specifications and will work with all of your existing HDMI devices. The HD2MM15MA is backed by a StarTech.com 2-year Warranty. Note: This cable features unidirectional architecture which requires that the cable is installed in the correct direction. Please ensure that the HDMI connector labeled with "TV" is connected to the display, in order to ensure that the device and the HDMI source are connected properly.